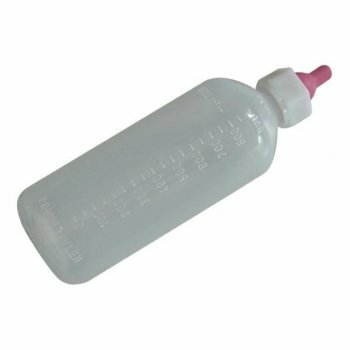 The Paragon Lamb Feeding Bottle with Teat is made from a soft but highly durable polyethylene. It has a measuring markings on the side in increments of 50ml and has a maximum capacity of 1 litre. The bottle comes complete with a screw-on teat cap. There are currently no questions for Paragon Lamb Feeding Bottle with Teat - be the first to ask one!